All the Paper Mills or Paper Converters require Double Drum Slitter Rewinder Machine. This is the Heavy Duty Two Drum Slitter Rewinder, especially used in Paper Industries & Paper Tube making plant. This is the new model, a High-Speed machine for slitting Paper and Craft Paper (up to 500 gsm). KEW manufacturers, exports & supplies highest number of Slitting Rewinding from Ahmedabad, Gujarat,, India, with more than 1400 installations all over India and overseas like Saudi Arabia, UAE, Dubai, Sharjah, South Africa, Nigeria, Ghana, Congo, Kenya, Zambia, Sri Lanka, Bangladesh, Malaysia, Pakistan, Nepal, Russia, Thailand, Indonesia, Brazil, Colombia, Venezuela, Argentina, Mexico, Canada, etc. We are winner of 3 times National Award and 2 times International Award for Quality manufacturing. Our Double Drum Slitting Rewinding achieves precision slitting of Paper Rolls. All types of Paper Mills & Paper Converters require Slitting of Paper for different type of applications. Our Double Drum Slitter Rewinder comes in use for Slitting of all types of Paper Material like Coated Paper, Ice Cream Cup Paper, Fax Roll, Photograph Paper, Stationery Paper, etc. 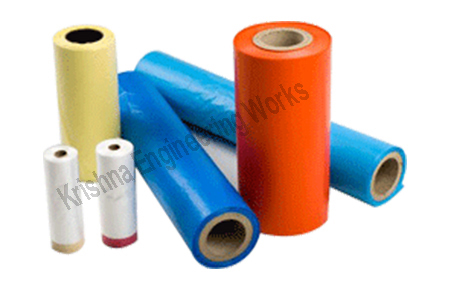 Our Paper Slitting Rewinding is able to process all types of Paper of any GSM thickness. Slitting of all types of material like Plastic, Paper, Flexible Packaging, PVC, Aluminum Foil, Stretch Film, LDPE Film, BOPP Film, BOPP Tape, OPP, METPET, Pet Film, OPA, Non-Woven Fabric, Paper Board, Adhesive Tape, Film Ribbon, Textile Cloth, Nylon Fabric, Micro Tape, Coated Paper, Ice Cream Cup Paper, Fax Roll, Laminated Film, Cling Film, Duct Tape, Mask Tape, Rubber, Tarpaulin, Tube, etc. 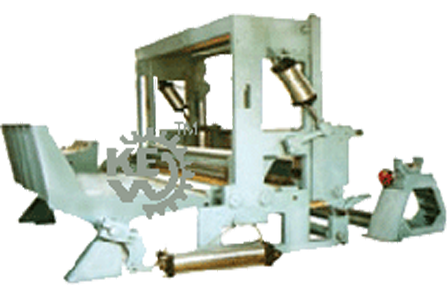 makes us most experienced manufacturer, exporter & supplier of Slitter Rewinder. Application: This machine is specially used in Paper Mills. Our machine is an ultimate Double Drum Slitter Rewinder Machine for its accurate slitting and rewinding qualities. It ensures perfect slitting of rolls with consistent, flawless results and constant line speed. It is available in adaptable model to suit your requirement. Our Double Drum Slitter Rewinder Machine is available in Rewinder, Duplex surface slitter and Rewinder and Cantilever differential slitter and Rewinder. Our Slitting Rewinding Machine is renowned for its accurate slitting at a higher speed and vibration less working. KEW Double Drum Slitter Rewinder Machine ensures perfect slitting of rolls with consistent flawless quality and constant line speed. It is available in adaptable model to suit your requirement.